Rhonda's Baby Blankie is Done! 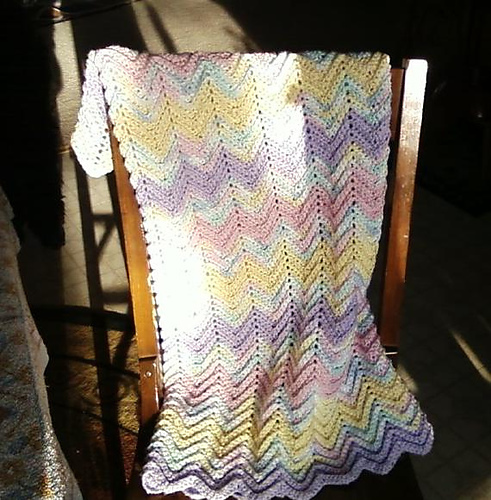 I finally finished the Baby Ripple Afghan, I think the 32″ length will be just fine~ gonna have to, I ran out of everything. That is a BEAUTIFUL afghan and it looks very soft. My friend made one for my baby and he just loved it. I’m sure that it will be wel received.